Daytona Beach DUI attorney Kevin J. Pitts defends individuals throughout Volusia County accused of driving under the influence (DUI). If you have been arrested for DUI in Florida you must act quickly to prevent your license from being administratively suspended. Under Florida law if you are arrested for drunk driving and refused a lawful test of your breath, blood or urine your license will be administratively suspended 10 days after your arrest. The first 90 days of the administrative DUI refusal suspension does not allow a DUI hardship license. If you had a breath alcohol or blood alcohol test with a balance over .08% your license will be administratively suspended 10 days after arrest. The first 30 days of the suspension for a breath or blood alcohol content over .08% does not allow you to obtain a DUI hardship license. By taking the information off of your DUI citation and completing a simple form with a copy of your DUI citation and a $25 fee you can obtain a 42 day temporary license. If you have no prior DUI convictions or administrative actions against your license you might be able to obtain an immediate hardship allowing you to drive every day with restrictions. You must be Real ID compliant, sign up for the DUI class, pay $25 and then pay $200. The form needs to be mailed or hand delivered to the Bureau of Administrative Reviews in Daytona Beach at 995 Orange Ave, Daytona Beach, FL 32114 for a 42 day permit. You must personally appear to do the waiver for an immediate hardship. 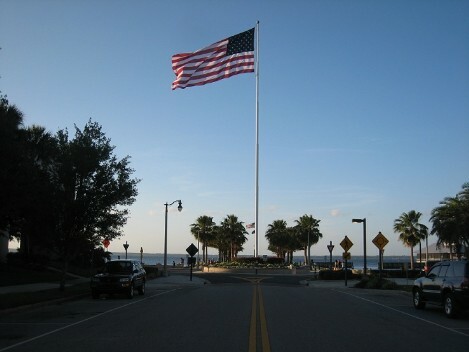 In a Daytona Beach DUI case you have important rights. Rights can be waived so you must exercise your rights to defend against a DUI charge. 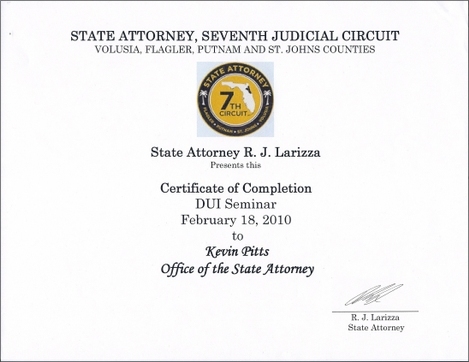 Daytona Beach DUI attorney Kevin J. Pitts understands your rights and will make sure that your rights are defended. One of the most important elements in a DUI case is the initial traffic stop. If the stop is suppressed the evidence obtained from the stop would be suppressed and could not be used as evidence in a DUI case. If the state has no evidence to use against you then they would be unable to prove your case. Although the facts of each case are unique if a stop motion is effectively drafted and argued the scales of justice can be tipped in your favor. Many stops that appear to be reasonable actually end up being illegal when the case law and statutes are closely reviewed by an experienced Daytona Beach DUI lawyer. Here's a few examples of Daytona Beach DUI stops that look like they are valid but can potentially be suppressed ; Failure to maintain a single lane. If you were outside the lane then you failed to maintain a single lane but upon review of the statute the failure to maintain a lane must affect traffic. Failure to use a turn signal or blinker. Traffic also must be effected for this statute. Driving on the shoulder or fog line. An examination of section 3B.06 of the Federal Manual plainly provides that a solid white edge line is not intended to prohibit vehicular action, but is meant to serve as an instructive guide or warning to drivers. One cannot violate a statute, unless one engages in conduct which is prohibited by it. 18 Fla. L. Weekly Supp. 76a. Failure to stop at a stop bar when at a steady red light. Vehicular traffic facing a steady red signal shall stop before entering the crosswalk on the near side of the intersection or, if none, then before entering the intersection and shall remain standing until a green indication is shown.Fla. L. Weekly Supp. 1168a. This is some of the examples of Florida DUI stops that a Daytona Beach DUI attorney could argue. Many other stops can be challenged. 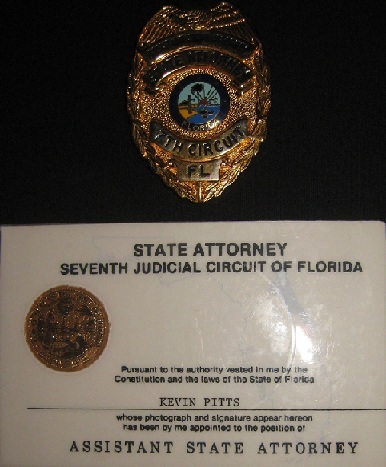 Attorney Kevin J. Pitts also handles Daytona Beach BUI cases. In recent years there has been a drastic increase in boating under the influence charges in Daytona Beach and the surrounding areas. The cases are more difficult to prosecute than a DUI. Field sobriety exercises do not work as well on uneven boat ramps, gravel parking lots and after spending a day on the water with waves. The prosecutor also cannot say that you agreed to a driver's license suspension if you refuse a breath or urine test. If you are accused of a Daytona Beach BUI or Daytona Beach DUI call attorney Kevin J. Pitts today to set up a free case evaluation at 386-451-5112. 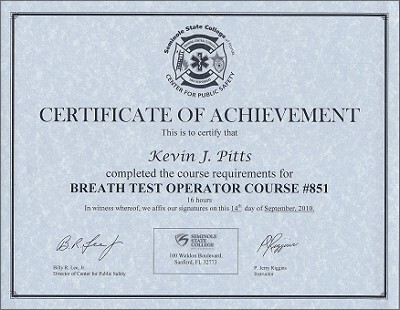 Daytona Beach DUI attorney Kevin J. Pitts has handled over 5,000 cases as a former Daytona Beach assistant state attorney and criminal defense attorney. Mr. Pitts had an opportunity as a DUI prosecutor to gain valuable experience in motions to suppress, legal research, trial advocacy and an understanding of how a case is prosecuted by the state attorney’s office in Daytona Beach. If you are arrested for drunk driving in Daytona Beach Mr. Pitts has the experience you need to achieve the best possible resolution in your DUI or criminal law case. The Law Offices of Kevin J. Pitts is a criminal defense firm focusing a large portion of the practice defending those accused of drunk driving. 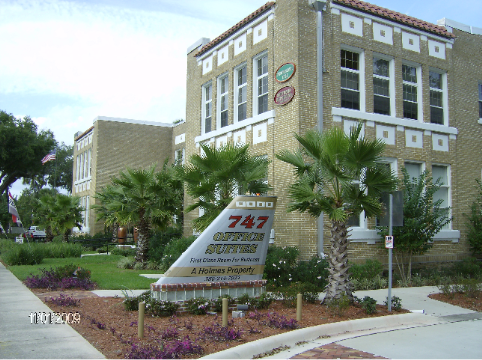 Mr. Pitts handles cases in Volusia, Seminole, Flagler, Lake and Orange County. Cases in other counties will be handled on a case by case basis. The Law Offices of Kevin J. Pitts will not only defend your rights but will also protect your wallet. Payment plans are available and the legal fees are reasonable. The goal is to achieve the best possible result in every case and to earn each and every dollar you spend. Offices in Sanford at 4195 N 17-92, Sanford, FL 32773 and in Daytona Beach at 747 South Ridgewood Ave., #105 Daytona Beach, FL 32114.